My Japanese class was planning a dinner at a Japanese restaurant over spring break. We originally wanted to go to Maruchu, but unfortunately they're closed on Tuesdays. Sensei suggested Ichiro in Steveston, so off we went! I was surprised that the place was packed full on a Tuesday night. It was a good thing we had a reservation or we would have had to wait a long time for a table for 7. The best thing about eating with a large group is being able to try a lot of different dishes, especially dishes that I would never order myself. The food took awhile to come, and the dishes came one by one. The first dish was the spicy tuna sashimi ($7.95). The portion was tiny with about 10 smaller-than-bite-size cubes of tuna. It didn't taste amazingly good either, so I thought it wasn't very good value. 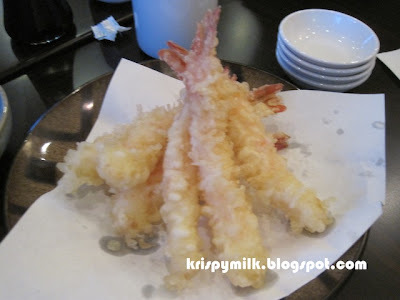 Next we had 2 tempura dishes: sweet potato tempura ($5.95) and ebi tempura ($8.25). 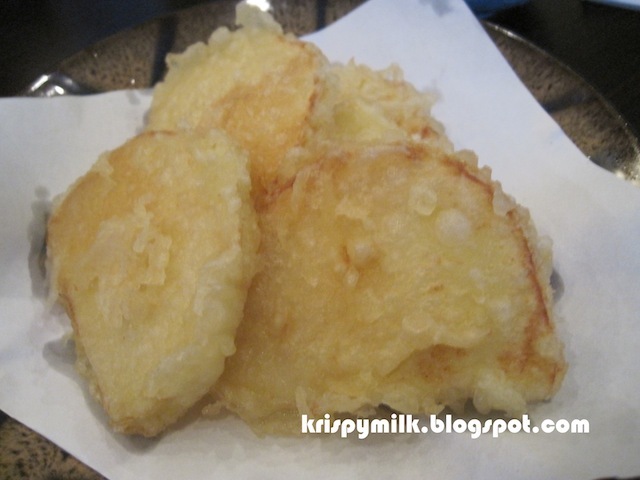 They were quite typical and not particularly good, but I appreciated the fact that there was no excess oil soaked into the tempura. We tried a variety of sushi rolls according to each of our preferences. 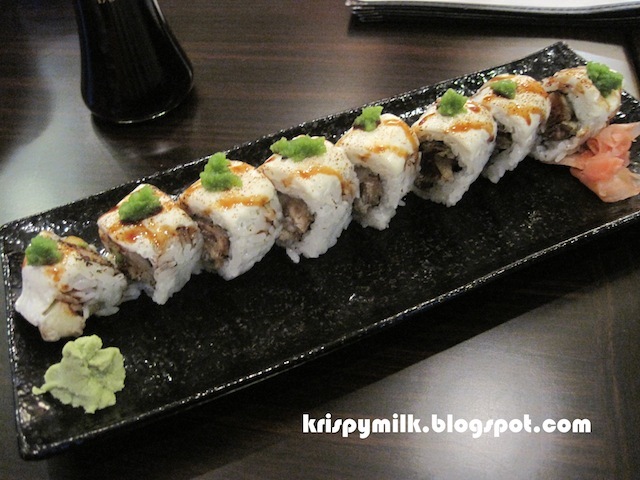 We were in Steveston, so of course we had to order the Steveston roll ($11.95) right? 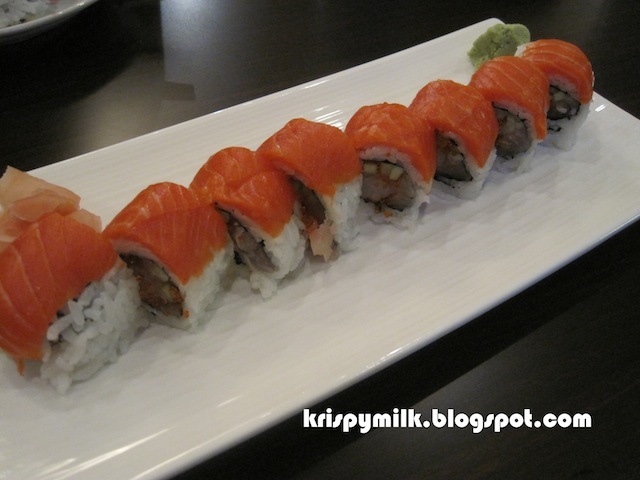 It was a sweet shrimp and tuna roll topped with salmon. Again I wasn't particularly impressed. The ingredients were fresh, but somehow the flavours didn't come together. 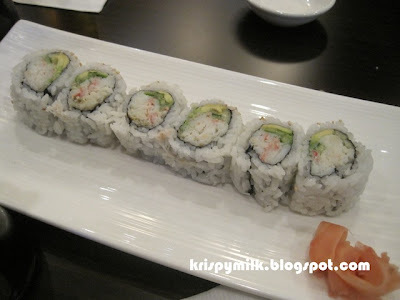 Another dish we tried was the real crab roll ($9.95) which was just a California roll but with real snow crab. The crab meat had a distinct sweetness that was very different from imitation crab meat. Apart from that, the roll tasted just like a regular California roll, so I would not spend close to $10 to order it again. My favourite out of all the rolls we ordered would be the cream cheese roll ($10.95) with yellowtail tempura and jalapeno sauce. It was the only roll with a strong enough flavour. It was supposed to be spicy, but it wasn't that bad at all. In fact, I was so focussed on how creamy the cream cheese was that I hardly noticed the spiciness. 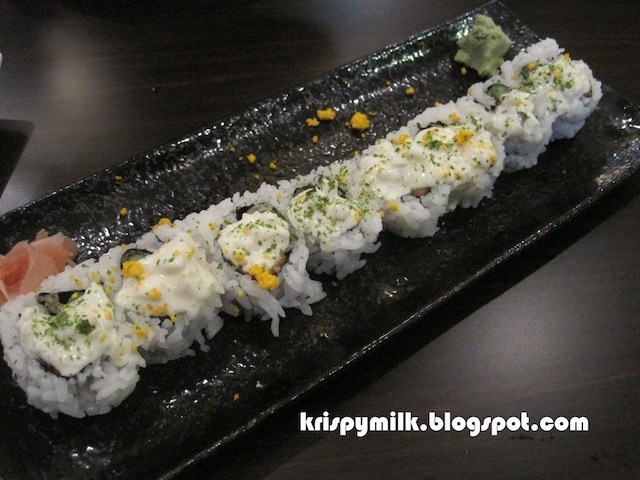 The ebi fry roll ($10.95) was also very creamy because of the tartar sauce on top. Inside were breaded prawn and asparagus, a unique combination but the flavours didn't blend together. After finishing the sushi, Rob ordered a 2nd round of food. 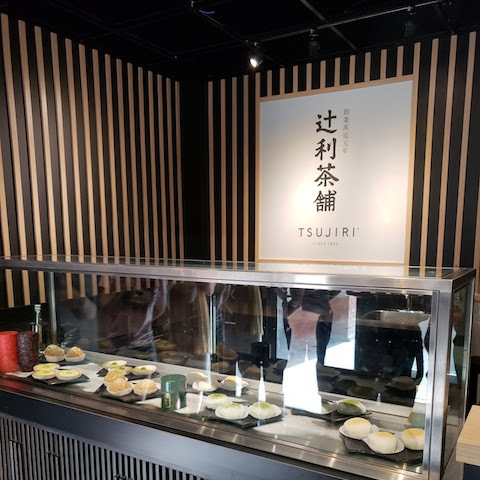 He recommended the ebi mayo ($8.95) which was probably the best dish of the night in terms of both taste and presentation. The prawns were fried and tossed in a creamy sauce of mayo and ketchup that was slightly sweet and sour. 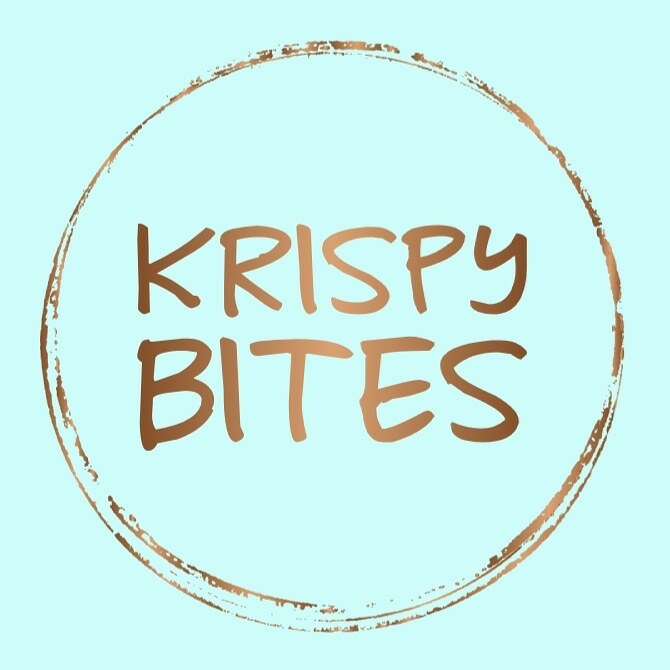 Interestingly, they didn't seem fried at all as there was no crispy batter covering them, so they actually tasted more like stir-fried prawns. There were 2 veggie rolls on the side which were greens stuffed into hollowed-out tubes of radish, along with a slice of cucumber with a maple leaf shape cut out. The dish was pretty to look at and good to eat. 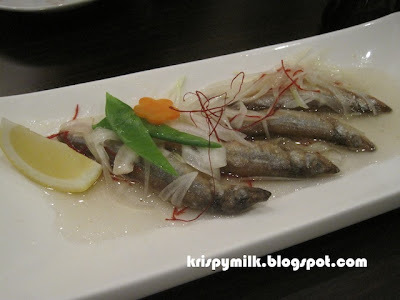 We had a couple of fish dishes like shishamo nanban ($5.50) and saikyo yaki ($12.95). The shishamo (smelt) was deep fried and tasted slightly sour. The fish was crispy on the outside with a lot of roe inside, making the texture quite crunchy. 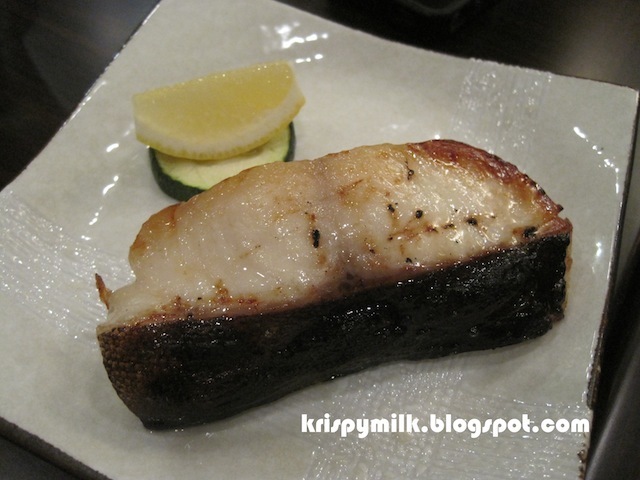 The saikyo yaki was a slice of very tender grilled cod with the slightest hint of miso. The miso was not overbearing and complemented the flavour of the fish. But paying $13 for such a small slice of fish is quite unreasonable. I ordered a last round of food including beef tongue ($7.95) that was served on a sizzling hot pan. It was a somewhat adventurous choice since not everyone at the table was into eating random animal body parts. But everyone tried it, and we all agreed that it tasted like very thin and tender slices of beef. No one could tell that it was actually beef tongue just from the taste. 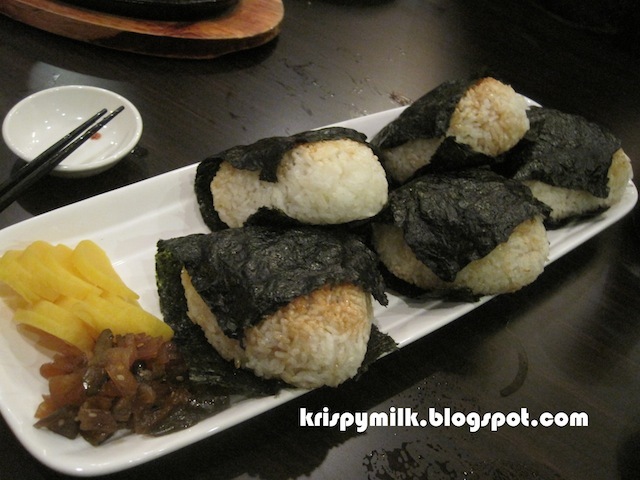 We finished off with a round of yaki onigiri ($3.75 each). Most of us picked plum as the filling, but there's also a choice of salmon or plain. I didn't like the plum that much though because there was very little plum near the bottom of the onigiri, so it was pretty much the same as plain. Next time I would probably choose the salmon filling instead. 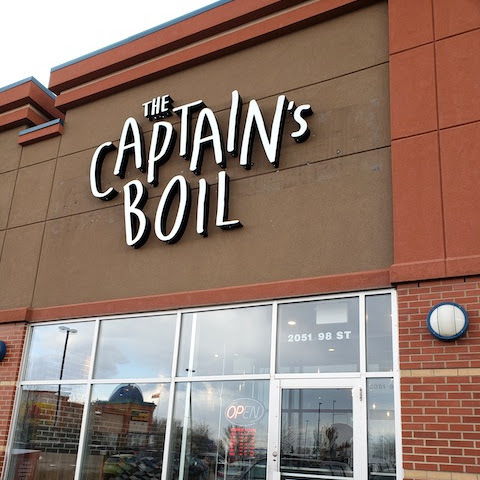 The dinner was enjoyable because of good company, but prices are too high and the food does not impress. The bill came to over $30 per person, and we weren't even full. I probably wouldn't be dining here too often.